"The family of Ebby Jane Steppach would like to share the latest update with those of you on this page as well as other media outlets. On Tuesday, May 22nd, investigators with the Little Rock Police Department informed the family that human remains had been found at Chalamont Park, which is where Ebby’s car was found on October 30, 2015. 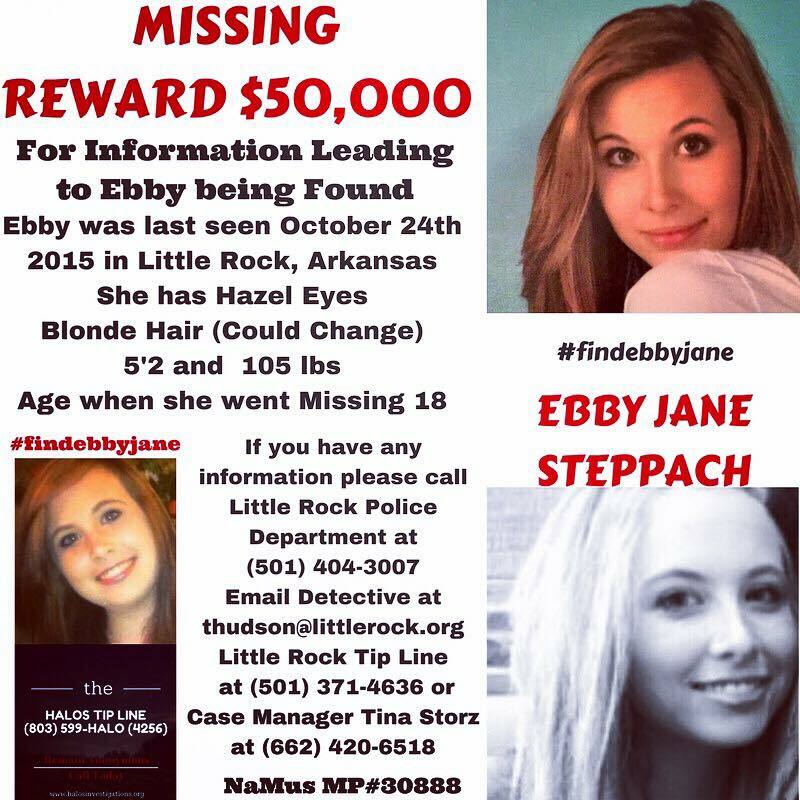 The family would like to thank all of you who have supported efforts to find Ebby. It has been through your support, many prayers and God’s strength that they have been able to make this journey. God hears and answers all prayers. Yesterday, God answered the family’s prayers to find Ebby. They are thankful for the life they got to share with her and ask for continued support and prayers as they work through this difficult time. "